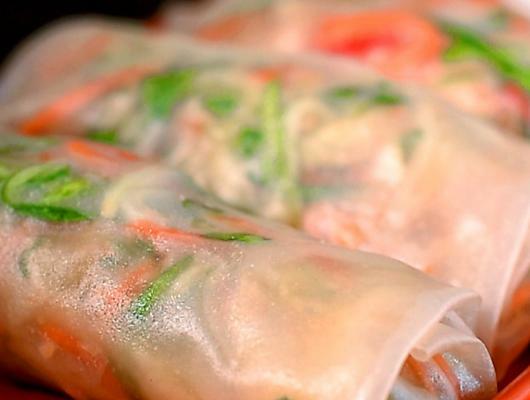 Contrary to what you make think, not all Spring Rolls are deep-fried. They can be served fresh as well, which is a lovely option for an appetizer or light meal this summer. It’s quite an extensive list of ingredients, but if you are a fan of Thai cooking, it’s likely you have most of them in your pantry or fridge already. The preparation is a simple whisk, toss, hydrate, roll. And our special touch? We added a peanut sauce to make a “Pad Thai” version, as well as some chillies. Stop, drop and roll – these babies are on fire!